Lahore, December 16; The first day of the 3rd session of Youth Provincial Assembly Punjab started with Members paying tribute to the departed souls of the Army Public School attack on its anniversary. Members also observed one-minute silence for the martyrs of the APS attack and the lives lost in the recent plane crash in Pakistan. In the plenary session today, Youth Standing Committees presented and discussed their draft reports in the House. Each Committee will be revising their reports on the recommendations and suggestions shared during the session before presenting those to a review panel for assessment. 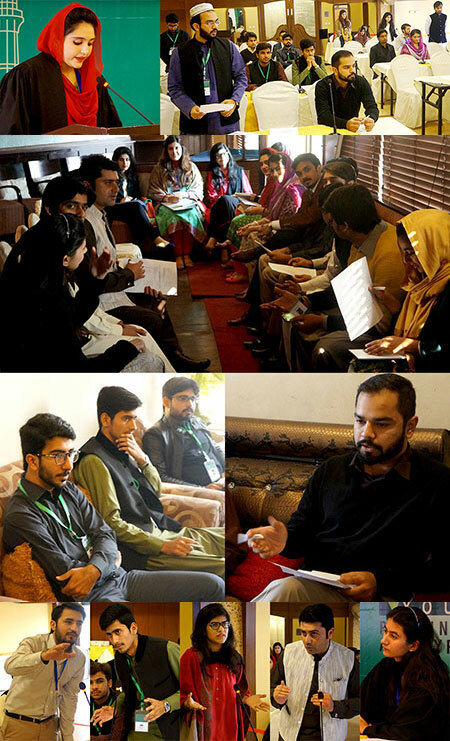 An Expert’s panel would evaluate and score the reports of the Youth Standing Committees. Each Committee will present its recommendations followed up with a Q & A session and recommendations by the Panel of Experts.